Marie Menken was an American avant-garde filmmaker and painter. She was also an exceptionally influential figure with many of the major underground filmmakers of the 1950s and '60s. She passed away on December 29, 1970. Born in 1910 in Brooklyn, New York, Menken studied at the New York School of Fine and Industrial Arts and at the Art Students League. She began her artistic career as a painter, then made her first avant-garde film in 1945. Visual Variations on Noguchi was filmed with a hand-cranked Bolex 16mm camera and Menken was instantly celebrated for her intuitive, free-form cinematic style. However, Menken did not finish another film until 1957's Hurry! Hurry!, after which she became quite prolific with her filmmaking. Her style primarily bounced between single-frame documentaries, like the acclaimed Go! Go! Go! ; and her portraits of other artists and filmmakers, like Kenneth Anger and Andy Warhol. Menken also earned a reputation as an influential, muse-like figure to many of the underground filmmakers of the 1960s. In 1962, she and her husband Willard Maas let L.A. filmmaker Kenneth Anger live with them in Brooklyn, during which time Anger would film the motorcycle gang featured in his masterpiece Scorpio Rising. 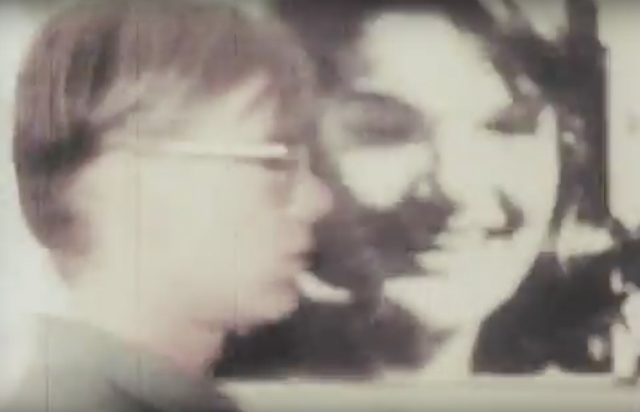 Menken also collaborated with other filmmakers, such as by animating the chess sequence in Maya Deren's At Land; and serving as cinematographer on Maas's classic Geography of the Body. She also acted in films, such as Dov Lederberg's Eargogh and in Andy Warhol's The Life of Juanita Castro. In 1962, Kenneth Anger moved to Brooklyn, New York and began living with married filmmakers Willard Maas and Marie Menken. Once in Brooklyn, however, Anger became acquainted with a local motorcycle gang and shot footage that would eventually become his most celebrated work. Here are the screenings for December 10-30, 1970 of the Anthology Film Archives. The Anthology’s original plan was to have three screenings every night of films from their Essential Cinema Repertory Collection, so that each film in the collection would screen once every month. Andy Warhol by Marie Menken. Competed 1965. Marie Menken made several films inspired by and starring artists she knew, such as Visual Variations on Noguchi (1945) and Arabesque for Kenneth Anger (1961). 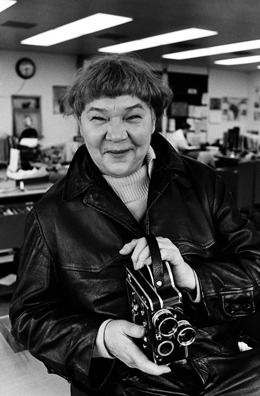 ’60s underground filmmaker Marie Menken would be 102 today. She passed away on Dec. 29, 1970. In her honor, go buy or rent the documentary Notes on Marie Menken, directed by Martina Kudlácek. It’s available on Amazon and Netflix. The DVD also includes three of Menken’s short films. Some really excellent documentaries have been made about underground filmmakers, both old and new. These 7 are easily caught on DVD. Outrageous Underground Film Moment 6: Artist Andy Warhol films the Empire State Building for eight hours straight for his avant-garde film Empire. Martin Scorsese’s Film Foundation has helped preserve underground film classics like David Lynch’s Eraserhead and Jonas Mekas’ Lost Lost Lost.